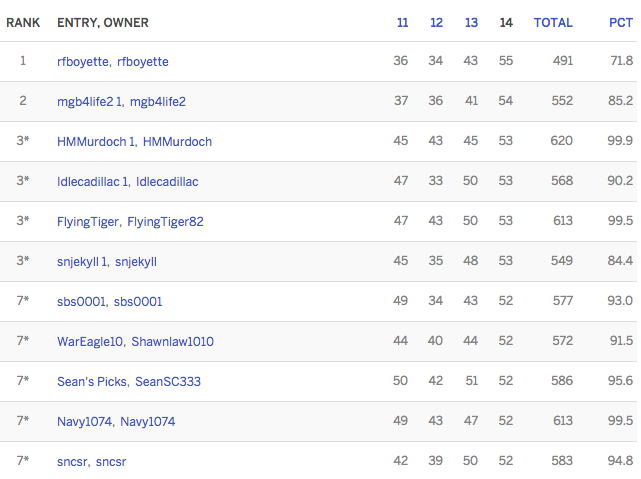 Congrats to rfboyette for taking Week 14 of the 2017 War Blogle Pick ’em and winning a War Blogle sticker. Want any of that? Send me $3 and your address, or just win next week. But let’s be honest, it’s just easier to send three bucks. Since we have now completed all 14 weeks of competition, congrats to HMMurdoch for taking the whole dang thing and winning an Auburn Hover Helmet. He took home the prize after Week 10 as well, so I didn’t really think this thing out. But I hope he likes his two Hover Helmets (AKA the free Christmas present for one of his brothers). 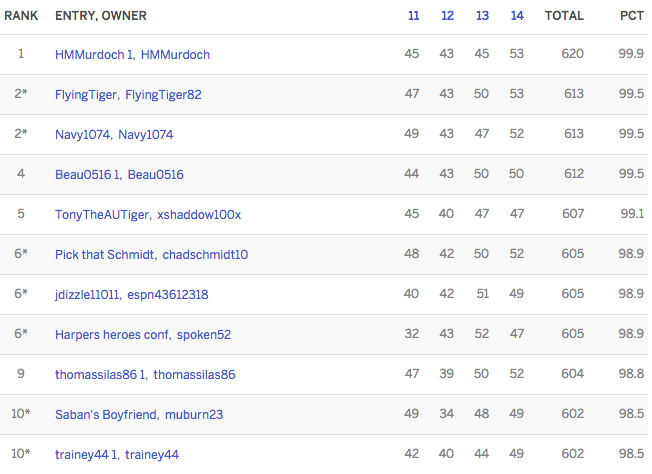 If you’re like me and don’t see your name, go check out the scoresheet (select Week 11-14). Thanks to everyone that joined. I’ll be posting information on the bowl pick’em in the next few days.